(FinalCall.com) - As the small northern European Kingdom of Norway struggles to understand and deal with the after effects of the shooting rampage allegedly carried out by suspect Anders Behring Breivik, which left a reported 76 people dead July 22, many are wondering if this was just an isolated incident carried out by a madman or if it is the manifestation of a growing movement in Europe based on White Supremacy and growing hatred of Islam? The small nation situated along the border of Sweden began experiencing an increase in immigration from Southern Europe, Asia, South America and Africa with the majority settling in and around Oslo in the late 1960s. Since the birth rate among ethnic Norwegians has declined, the overall percentage of population growth caused by immigration has risen significantly; reaching 35 to 40 percent, says Norway.org. In 1975 the Norwegian government instituted an official ban on immigration “that remains if effect today,” but does not apply to certain refugee groups or asylum seekers says the website. So, is Mr. Breivik merely “one bad apple” or just a sign of the vicious intolerance for non-Whites, immigrants and non-Christians in Europe? It appears the previous “welcome mat” laid out for Africans, Jamaicans, Arabs, Asians, Muslims and other immigrants to European countries is being pulled out from under the feet of those that seemingly just want to live a better life. But years of bigotry and vitriol spewed by right-winged White Supremacists throughout Europe have planted seeds of intolerance that have culminated in increasing violence directed against people of color and even some progressive Whites. On July 27, The Guardian reported Italian politician Francesco Speroni, a former minister of Prime Minister Silvio Berlusconi said, “Breivik's ideas are in defence of western civilisation,” while making comments on a radio show. Mr. Speroni is a member of the Northern League, the junior partner in Mr. Berlusconi's conservative coalition says The Guardian. Olu Alake, president of 100 Black Men of London says Mr. Breivik is merely the latest manifestation of the product of the routine portrayal of Islam as a religion of hate and violence. “This is exemplified in the way that public rhetoric all across Europe has now deemed it acceptable to use language which when used against other White ethnic groups, would be deemed illegal and result in heavy social and legal sanctions,” Mr. Alake told The Final Call in an email. Mr. Alake also says a system of scapegoating has been exacerbated with the economic downturn. “With the resonances of 9/11 and in UK 7/7 still reverberating in Immigration, Community Cohesion and economic policies, it is almost a sad inevitability that this new ‘Other' would be Muslims, a narrative eagerly leapt on by Far Right groups all across Europe as they astutely noticed a vacuum of moral leadership in government to impose sufficient balance of perspective in public discourse,” continues Mr. Alake. Mohammad Shafiq, chief executive of the Ramadhan Foundation based in the UK told The Final Call that both UK and European governments have failed to address the ever increasing threats posed by right-wing and Nazi groups. 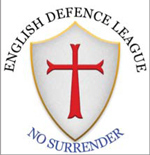 “We have discovered as a result of media reports that there were links between the EDL and this terrorist in Norway which deeply concerns our community as we are at the forefront of their vicious, racist, and vile attacks,” said Mr. Shafiq. 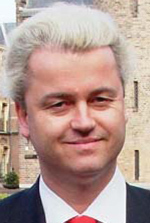 In the Netherlands, Geert Wilders, a Dutch right-wing politician and head of the Party for Freedom has developed a reputation for his anti-Islamic views though he has tried distancing himself from Mr. Breivik. As recently as May of this year, Mr. Wilders addressing a congregation at Cornerstone Church in Nashville, Tennessee in the United States said: “I travel the world to tell people what Europe has become. I wish I could take you all on a visit to my country and show you what Europe has become. 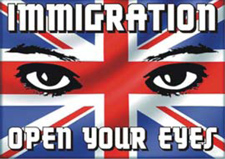 It has changed beyond recognition as a result of mass immigration. And not just any mass immigration, but mass immigration driven by the dangerous force of Islam,” said Mr. Wilders. “We want Britain to remain—or return to—the way it has traditionally been. We accept that Britain always will have ethnic minorities and have no problem with this as long as they remain minorities and do not change nor seek to change the fundamental culture and identity of the indigenous peoples of the British Isles,” says the group. The Honorable Minister Louis Farrakhan warned in his prophetic June 15 address across from the United Nations that the die is set against Europe based on its history of bloodshed, and he also said non-Europeans should be prepared to leave. “All of you that ran to Europe, to your former colonial masters, it is written that everyone will have to ‘go to their own, and find refuge under their own vine and fig tree.' And as Europe is trying to push out the Africans, push out the Pakistanis, you would be wise to prepare yourself to get out of there, or die there, because the future for Europe, and America, is bleak; very, very bleak,” said Min. Farrakhan. The perils of Islamophobia and anti-Muslim hate crime threaten to undermine basic human rights, fundamental aspects of citizenship and co-existing partnerships for Muslims and non-Muslims alike in contemporary Europe notes a report by the European Muslim Research Center released in 2010 called, “Islamophobia and Anti-Muslim Hate Crime: a London Case Study.” This appears to be made more apparent, with each passing day. Mr. Alake agrees. “I fear that Breivik is right in one of his chilling predictions— that he is but one of a posse of nutcases all across Europe who have imbibed too many times from the fountain of hate which spews consecutively liquids of different chromatics,” he said. “Yesterday, it was Black people; today it is Muslims; tomorrow, should their hate not be curtailed, should their bile not be excised, should their rhetoric not be challenged, should our governments not stand firm for all people that they govern and not play petty populist games with the lives of the marginalised...tomorrow, it is anyone,” said Mr. Alake. “We will pay a heavy price if we ignore the telltale signs as a result of these terrorist attacks in Norway,” added Mr. Shafiq.